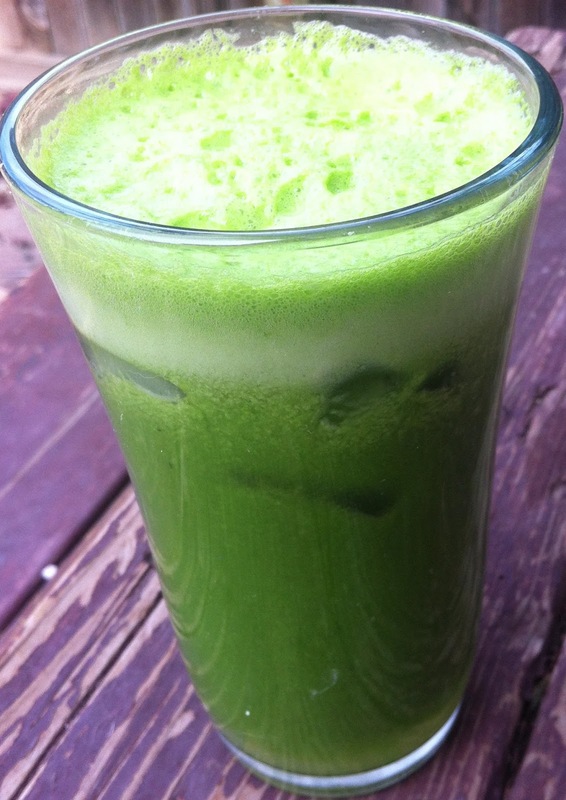 Kale, celery, cucumber, apples, lemon, and ginger make one mean juice. This happens to be one of my favorite juices, so it was time to share it with you. It is really tasty with a balance of tart and sweet flavors. 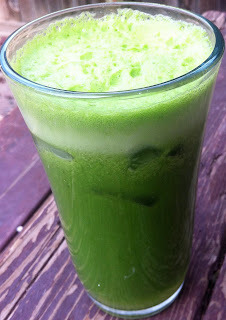 The Mean Green juice was a staple in Fat, Sick, and Nearly Dead. The healthiest juices are those which contain greens, as the greens contain the most vitamins and nutrients. The fruits and vegetables contain so many amazing health benefits, such as improved circulation, weight loss, lower cholesterol, and cancer prevention. Go Green! Besides, wasn't it Robert De Niro in Meet the Parents who linked the color green to being a genius? When it comes time to juicing, you can either peel the lemon or juice it whole. I like the added "zing" that comes from the peel, so I juice the entire lemon. If the juice does not taste sweet enough for you, just add another apple. To remove the core from the apple, just slice the apple in half, and use a melon baller to remove it. Easy kapeezy! Juice in order listed. Serve over ice, and enjoy! There are some very bitter kales out there! 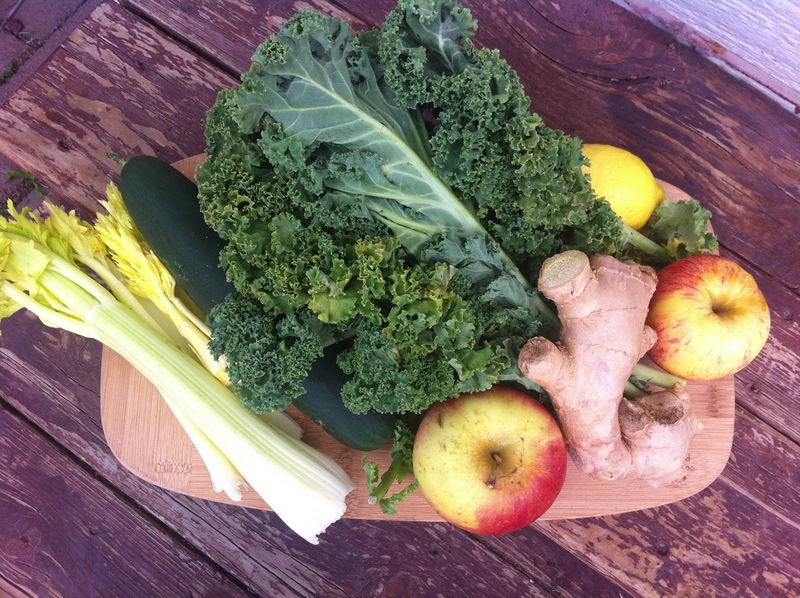 I am a big fan of the Breville juicers!